I was recently fortunate enough to be invited by Bowmore Distillery to one of their Twitter tastings – for Glen Garioch. Hosted by the delightful ‘Lady Blender’, Rachel Barrie, this involved several ‘tweeters’ discussing 4 Glen Garioch expressions; 12 yo, 1986, 1995 and a ‘mystery’ dram. 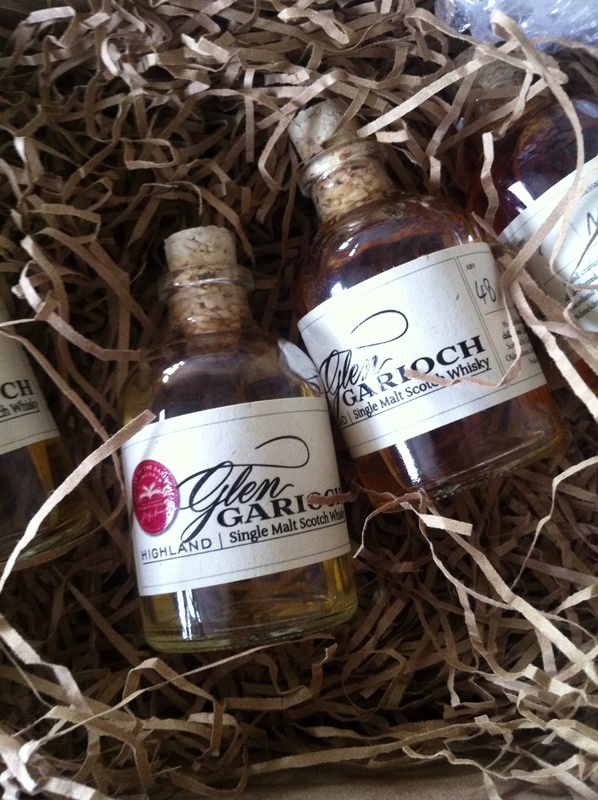 The day started with a very nice package from the postman – 4 miniature bottles neatly packaged in a larger Glen Garioch box, posted for the attention of “The Whisky Obsession”..